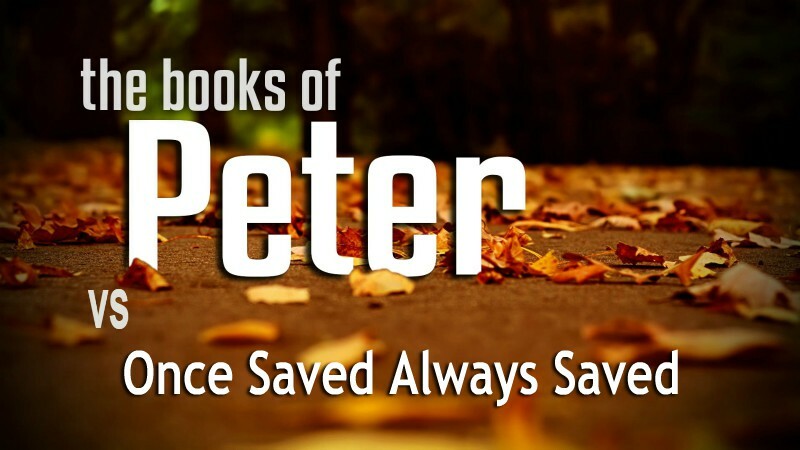 The second letter of Peter has some passages that go against the doctrine of "Once Saved Always Saved". In this post, I will display each of these passages and comment on them very quickly. Hopefully, dear reader, this will help you see the truth for yourself when it comes to this lying doctrine. May the Lord guide you in your search! The Epistles of Peter have some interesting verses also proving the Once Saved Always Saved doctrine wrong. In this post, I am going to quickly show these verses for your convenience along with some of my personal comments. To OSAS brothers, if you find some good answers that can be used to argue against these verses, please don’t hesitate to comment below and if it is interesting, I will be glad to add the objection and my response to the article. 18 And if the righteous scarcely be saved, (the apostle Peter makes it clear and says that if the righteous is hardly saved, what will happen to the sinner? ), where shall the ungodly and the sinner appear? If Peter says the righteous will scarcely be saved, what does that mean? It means that some righteous will not be saved. Who can really be righteous? Jesus said no one is good but God. A righteous person who is not a sinner is at least justified and born again. If some righteous person can lose salvation, it goes to say that they either fell back to sin or remained unfruitful and got cut off. Yes, brothers, it is very hard to enter. If it’s only a matter of believing “inside”, that is not hard. In his second Epistle chapter 1, the apostle Peter speaks about making our call and election sure. This passage gives some insight about the mindset we should have as Christians. It surely doesn’t align with the mindset most OSAS believers have when it comes to their attitude towards their election. 4 Whereby are given unto us exceeding great and precious promises: that by these (these what? life, godliness, glory and virtue) ye might be partakers of the divine nature, having escaped the corruption that is in the world (saved believers partake in the divine nature and escape corruption of the world) through lust. 8 For IF these things be in you (what things? faith, virtue, knowledge, temperance, patience, godliness, brotherly kindness and charity), and abound, they make you that ye shall neither be barren nor unfruitful (Peter is exhorting born again believers to let these characteristics of true believers to abide in them) in the knowledge of our Lord Jesus Christ. 9 But he that lacketh these things is blind, and cannot see afar off, and hath forgotten that he was purged from his old sins. (true believers should remember they have repented and therefore god rid of their old sins). You see dear brothers, reading things in context explodes with meaningful truths. This is what I mean by reading out of the scriptures. This passage is clearly against Once Saved Always Saved. Why? Because Peter is exhorting believers to make their election sure so that they don’t fall. If believers have to make their election sure, that means they are already elected. That is simple logic. Now according to Calvinistic thinking, election is a done deal, we are secure forever when we are elected. So why make our election sure if it is already sure? Do you see my friend? By reading in context, it is clear that this passage contradicts the Once Saved Always Saved lie. Most OSAS believers say this is not talking about true believers but about false teachers. These teachers look as if they are saved because they are gathering with true born-again believers but in reality, they were never really saved. No one ever said that this passage is not talking about false teachers. But we have to understand that, in context, Peter is saying that there WILL BE false teachers AMONG YOU. So this “you” is important and we have to know who this “you” is. To know that we have to go back to chapter 1 (remember that a letter is not in chapters and verses which were added much later in church history). In chapter 1, Peter is talking to brethren, and he is exhorting them to be established in the present truth and to make their election sure so that they never fall. So this is the first hint about who this “you” is. It is the partakers of the divine nature verse 4 chapter 1. Additionally, Peter says that these false teachers will DENY the Lord that BOUGHT THEM. If the fact that the Lord bought them doesn’t mean these false teachers were saved, can you tell me what “denying the Lord that bought them” means? 14 Wherefore, beloved, seeing that ye look for such things, be diligent that ye may be found of Him in peace, without spot, and blameless (why do they need to be found of Him blameless if they are already saved?). 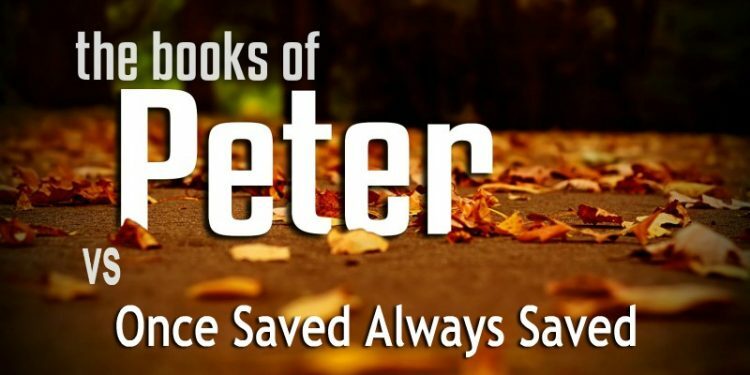 My friend, I hope you see that the second letter of Peter is very effective in proving that the doctrine of “Once Saved Always Saved” is a big lie. If you don’t see that, or if you think my interpretation doesn’t make sense, you are welcome to add a comment down below. But please be careful to argue from the context of the same letters, this way, we don’t diverge with endless back and forth. On the other hand, if this article convinced you, then praise the Lord Jesus! I am so happy for you, another soul that will be brought to the true gospel of Christ, a gospel of walking with the Lord in Holiness. Keep going dear brothers, walk in the Spirit and stay strong in Christ, He will pull you through, He will keep you if you hold on to Him. He loves you and will never cast you out if you go to Him!